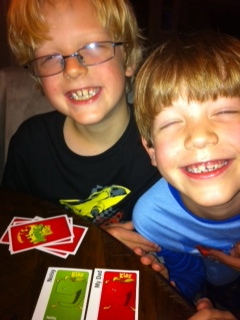 A few nights ago the boys and I were playing the game “Apples to Apples”. After the first hand we realized that you really need four players to make the game work right. So, we created a “Mr. Nobody” who would get a stack of cards and we would randomly draw their addition to the pile. When the boys suggested this solution I thought maybe it would work. But I figured the cards that Mr. Nobody would be contributing to the game would be so far off base that we would know which were ‘his’ and he would lose for sure. On the last round of the game my son drew the word “Noisy” for us to match. He picked a random card from “Daddy’s” pile and then we all put in our cards. After he mixed them up and flipped them over I was surprised to see the words. “My Dad” on one of them. My son chose that as the best match to “noisy” and we all stared in disbelief as we realized that it was “Daddy’s” card. And…he’d won the game, by a lot. Do you believe? I do. We do. 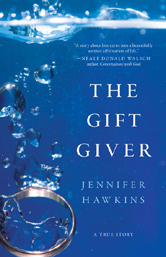 My second life-changing gift to you in 2016. Rapture! Can it be that simple?